My daughter was invited to the birthday party for a dear little friend of hers. 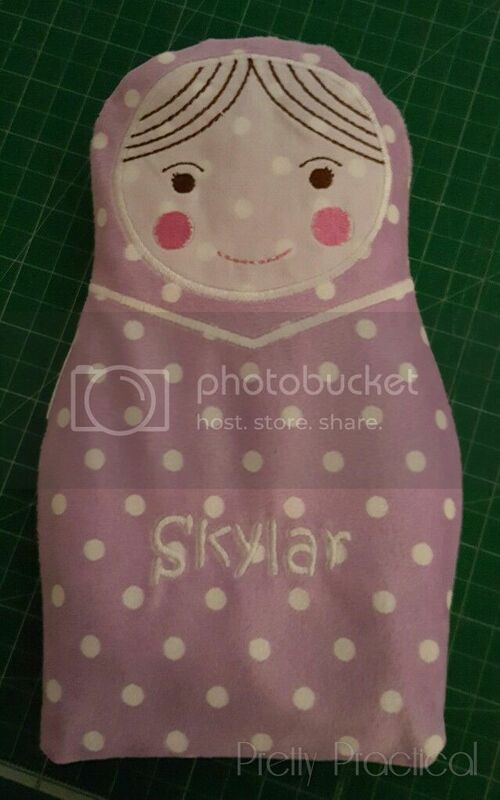 So I couldn’t resist making her one of my larger Babushka hot and cold packs. I made this one a little differently from the first one I made. My favourite feature about this one is the gorgeous and yummily soft minky fabric I used for the top.